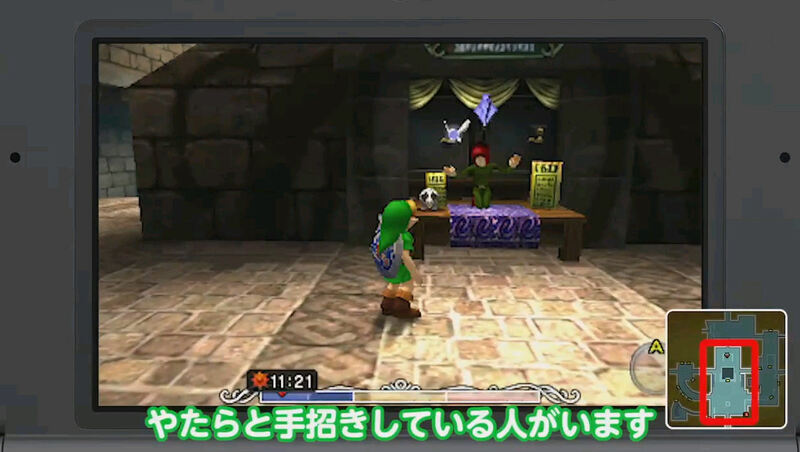 Over at their Japanese YouTube channel, Nintendo has released a gameplay video of Majora’s Mask 3D featuring Eiji Aonuma on commentary. At this time the video is only in Japanese, but hopefully a translation will release soon. However, we have learned a few new things from just watching the video. A few of the locations within Clocktown have been moved around, including the Bank and the Owl Statue, now appearing directly behind the Clock Tower in South Clock Town. Furthermore, Clocktown has been rebuilt and now appears much wider and more spacious than before. We also get our first look at how the revamped Bombers’ Notebook works. 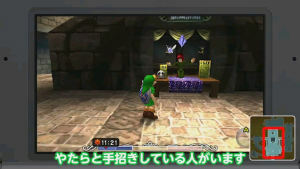 Go ahead and make the jump to watch Eiji Aonuma run through most of Clocktown.